Justice Pinaki Chandra Ghose is a former judge of the Calcutta High Court and former Chief Justice of the Andhra Pradesh High Court. 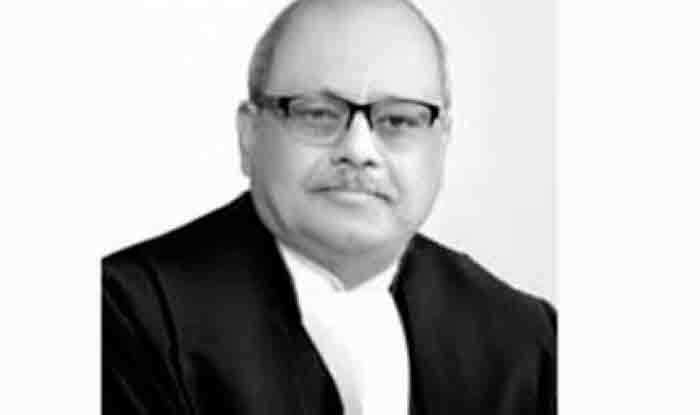 New Delhi: Former Supreme Court judge Justice Pinaki Chandra Ghose was appointed as the country’s first Lokpal, the anti-corruption ombudsman on Tuesday. A selection committee-led by Prime Minister Narendra Modi and also comprising chief justice of India, Lok Sabha speaker and an eminent jurist finalised Justice Ghose’s name. Congress leader in the Lok Sabha Mallikarjun Kharge, who is part of the committee, did not attend the meeting. Besides, former Sashastra Seema Bal (SSB) chief Archana Ramasundaram, ex-Maharashtra Chief Secretary Dinesh Kumar Jain, Mahender Singh and Indrajeet Prasad Gautam have been appointed as non-judicial members of Lokpal. Justices Dilip B Bhosale, Pradip Kumar Mohanty, Abhilasha Kumari and Ajay Kumar Tripathi have been appointed as judicial members in the anti-corruption ombudsman. Notably, Jutice Ghose’s appointment has come nearly five years after the Lokpal Act was notified on January 16, 2014. The law provides for a Lokpal at the Centre and Lokayuktas in states to probe cases of corruption against public servants. Who is Pinaki Chandra Ghose? Born in Kolkata, Justice Ghose is son of Late Justice Sambhu Chandra Ghose, former Chief Justice of Calcutta High Court. Graduating in Commerce from St.Xavier’s College, Calcutta, Justice Ghose completed graduation in law (LL.B.) from University of Calcutta and obtained Attorney-at-Law at Calcutta High Court, and enrolled himself as an advocate on November 30, 1976 with Bar Council of West Bengal. He practised in civil, commercial, arbitration, constitutional and company matters both in the original side and appellate side at Calcutta High Court. On July 17, 1997, Justice Ghose was elevated as a permanent Judge of High Court at Calcutta. He held the post of Executive Chairman, Andaman and Nicobar State Legal Services Authority and Executive Chairman, State Legal Services Authority, West Bengal, since January 2, 2007 and August 1, 2007 respectively.